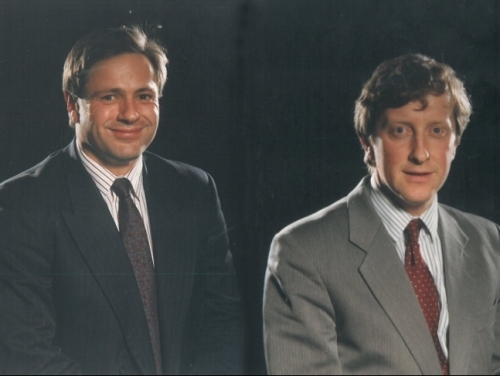 In February 1988 two fresh-faced surveyors started their first week with what had just become Stiles Harold Williams (formerly Harold Williams, Bennett & Partners + Stiles Horton Ledger). Little did they know that thirty years later Adam Godfrey (pictured left) and Nick Bradbeer (right) would both be celebrating their Pearl Anniversaries with the firm. These days Adam is our Senior Partner and Nick has headed up our investment department since 1989. Adam has many years of working primarily in and around the Crawley/Gatwick region providing property advice and development consultation. His corporate property work has taken him around the UK for specific clients, as well as leading our delegation at MIPIM several times. Nick stood down from being the Regional Head of the four Sussex offices in 2014 after serving almost 20 years in the role and specializes in investment agency, advising both buyers and sellers ranging from the private individual to larger institutional and corporate clients. Both formed part of the management buy-out when SHW split from Alliance & Leicester Plc in 1997. Managing Partner Martin Clark said: “Adam and Nick’s value to SHW is immeasurable – their amazing levels of experience and depth of knowledge has been of considerable benefit to countless clients.